Please scroll down to see more Babson Chabad pictures. What is Chabad on Campus? 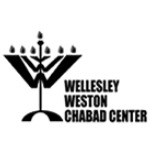 Chabad on Campus is a home-away-from home for the Jewish Students at Wellesley College & Babson College. Chabad anticipates and serves the needs of students on a social, educational and spiritual level. At Chabad, all students are welcome, regardless of background, affiliation, and level of observance. Imagine a delicious home-cooked meal, complete with Challah, gefilte fish, chicken soup, and lots more. Imagine a lively and spirited discussion, L'chaims, singing and a great time at no charge. You can stop imagining. THAT'S SHABBOS AT CHABAD! You don't have to dress up for the occasion and you don't have to recite your Bar-Mitzvah speech. Come and bring a friend! Leadership: At Chabad and our affiliated student groups, students are invited to take leadership roles in their campus communities, helping foster the creation of the next generation of empowered Jewish leadership. Tradition: At Chabad, students have the ability to discover the warmth and beauty of their heritage, and learn to apply the timeless Jewish principles of Ahavat Israel and Tikkun Olam - at their own pace. Community: At Chabad, we believe that family and community are vital keys to character building. That's why we open our home to students, helping inspire them with a respect for family values and a deep meaningful concern for the land of Israel. Future: At Chabad, we believe that Jewish education and meaningful experiences are the grass-roots method to fighting the forces of indifference, apathy and assimilation that face our community today. For there to be a Jewish tomorrow, our students need to have a Jewish today! Israel: At Chabad we take students on the most amazing birthrite trips, enough said! !